We had an unexpected visitor to the cabin this year. 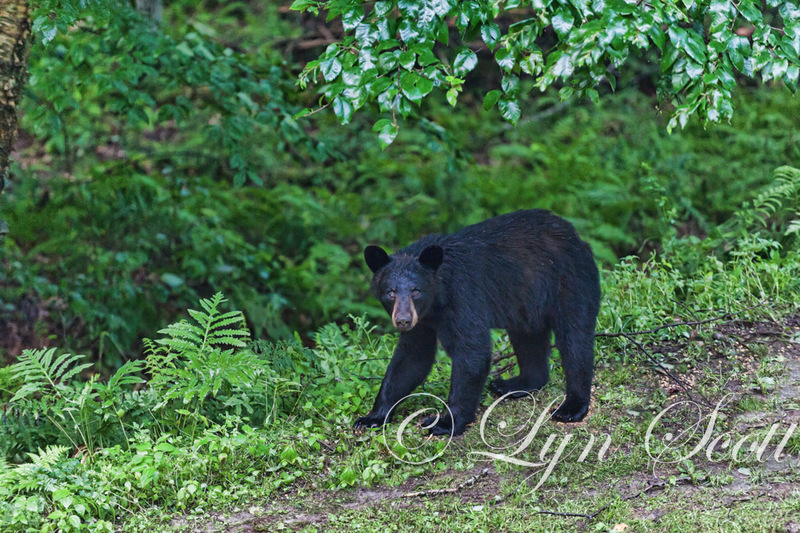 Black bears are numerous in New Hampshire. A few had been seen last year here and there, however, I did not expect this one to show up in the yard. 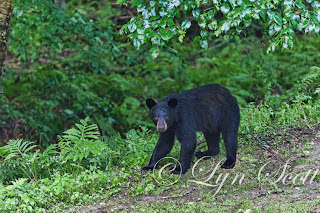 He/she was a youngster that showed up at night and we made noise to frighten him away, only to have him return at 5:00 am which is when this shot was taken. With a few louder noises he took off again.